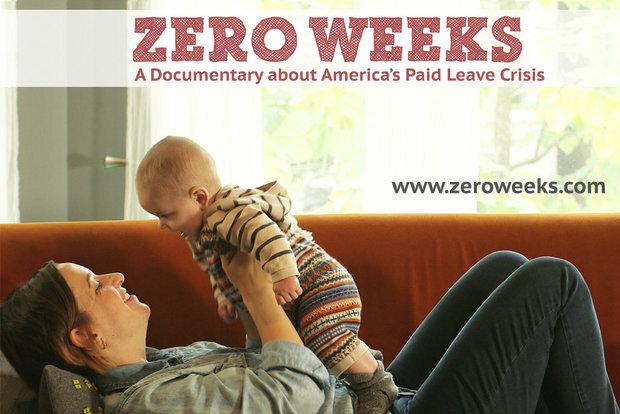 Documentarian Ky Dickens is tackling the lack of a federal paid leave policy in her film "Zero Weeks." NORTH PARK — The United States is one of only three countries in the world — and the only industrialized nation — that doesn't mandate paid maternity leave for its citizens. It's a policy, or lack thereof, that filmmaker Ky Dickens didn't need to research before tackling the subject in her latest documentary, "Zero Weeks," because she lived it. Pregnant with her first child in 2013, Dickens, who lives in North Park, approached her employer about taking time off after her daughter's birth. She was told she could have two weeks, a far cry from the 12 she was hoping for, given that she'd spent 11 years at the company. "I couldn't believe it," Dickens said. "I got angry." For most people, that's where the story would end. But Dickens has a habit of using her personal life as inspiration for her documentaries. Her 2009 film "Fish Out of Water," which examines the relationship between homosexuality and the Bible, was sparked by her experience of coming out during her senior year of college at Vanderbilt. "Sole Survivor," which aired in 2013 on CNN, has as its roots the death of a friend, who was killed in an auto accident after Dickens gave up her place in the car. With "Zero Weeks," Dickens, 37, quickly realized her own story was just the tip of the iceberg. "I met a woman who had to go back to work right after a C-section. I met a bus driver who had to bring her newborn on the bus with her," Dickens said. "Every other country recognizes you're a worker, but you're also a human and a family member," she said. "Here we have this mentality, 'You just deal.'" The more she investigated the subject, the more disturbed she became. Though the federal Family and Medical Leave Act allows for 12 weeks of unpaid leave, the law only applies to full-time workers who've been employed for at least 12 months, at a company with 50 or more employees. "Only two in 10 Americans even have unpaid options," Dickens said. "It's all based on the luck of where you work — there's no rhyme or reason to it." The issue of paid leave is an emotional and political hot potato in the U.S., but with "Zero Weeks," Dickens said her objective was to drive home the economics of the issue. "Even Forbes and the Wall Street Journal agree it's good financial policy," she said. States including Rhode Island and California have passed paid leave legislation, with 91 percent of businesses reporting no effect on their bottom line. At the same time, research indicates that providing paid leave increases employee retention and loyalty, Dickens said. "I found firsthand [that] my loyalty evaporated" when she was denied leave, Dickens said, and she ultimately left her job and found work elsewhere. Coincidentally, two small-business owners in Chicago are making the case for paid sick leave based on that very economic argument. 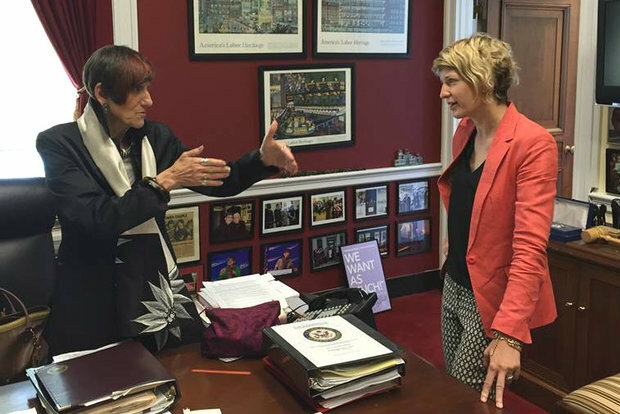 Sonat Birnecker, co-founder/owner of Koval Distillery, and Christine Cikowski, co-owner of Honey Butter Fried Chicken, recently met with the U.S. deputy secretary of Labor to push for fairer policies. "A lot of people think [paid leave] will cut into their bottom line; they don't realize it's cutting into society. This is a real societal problem," Birnecker said. "It's bad for morale, it's bad for health, it's bad for the work environment," she said. "Showing your employees compassion makes them more loyal." Koval started out with two employees — Birnecker and her husband — and has since grown to 20 workers. "Our policy is very simple: If you're sick, don't come to work," she said. "We're not machines, we get sick. You know what, the business will be there tomorrow, the email can be answered tomorrow." Days don't need to be accrued at Koval, and pay isn't docked. Employees are "spending their lives helping you grow your business, and you want to respect that, you don't want your business detrimentally affecting their personal lives," Birnecker said. "The last thing you need is being in the hospital and worrying about losing your job," she said. "I don't want to be responsible for someone feeling like they can't take their child to the doctor. Something about that is not OK."
In the food and beverage industry, the added potential for sick employees to pass that illness onto customers is a very real concern — and one more reason paid leave makes good business sense, Birnecker said. "Most restaurants have people working who could be sick — who wants that?" she asked. Birnecker and Cikowski are championing the cause within their respective industries, leading by example. "I'm reaching out to the alcohol and beverage community in Chicago. I think we can all agree we value our employees enough," Birnecker said. "That's my first line of attack — to show we can do it, and we're doing well." Sen. Kirsten Gillibrand (D-N.Y.) and Rep. Rosa DeLauro (D-Conn.) introduced a proposal for paid family and medical leave in December 2013, and the legislation has been stuck in committee ever since. With "Zero Weeks," Dickens is on a mission to push the bill into the national conversation during the 2016 election cycle. She's turned to Kickstarter to help fund production costs so that she can have a final cut ready by summer 2016. "The sooner this film is made, the sooner we can create change," the Kickstarter pitch reads. "There’s too much at stake for too many families to let our country’s outdated stance on paid leave drag on any longer." While the lack of paid leave disproportionately affects the poorest Americans the most, Dickens said she's "trying to prove it affects everyone." "I don't want people to write off the issue," she said. "How many of us have six months of savings?" She's filmed interviews with policymakers and economists and has identified a handful of stories to follow, though she's still looking for people who are caring for an aging parent or a sick or injured spouse. "I want to find what's happening now, not what happened," Dickens said. "I want to do the countdown, from the time they get sick or have the baby to how long it takes until they hit the skids. What I've found is it takes two months." Intruding on people who are under immense stress requires a deft touch on the part of the filmmaker, Dickens said. "I mic them up and use really long lenses. I want them to forget about me," she said. "Sometimes we'll go outside and shoot through the window, and then they totally forget you're there." At the end of filming, Dickens typically has thousands of hours of footage to edit and weave into a narrative. "The big question is how to tell the story the best way," she said. "Do I insert myself and lead people through it? Do I follow the business owner, do I follow the worker? I always want to tell the most professionally credible story as possible." Still, "Zero Weeks" remains for Dickens an intensely personal passion project. "This whole thing started because people told me I could take two weeks after 11 years," she said.